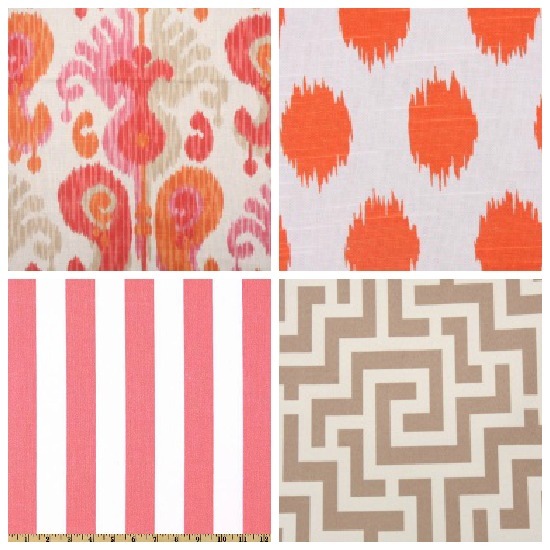 It's been a while since I've scoured my favorite fabric websites for what's new. 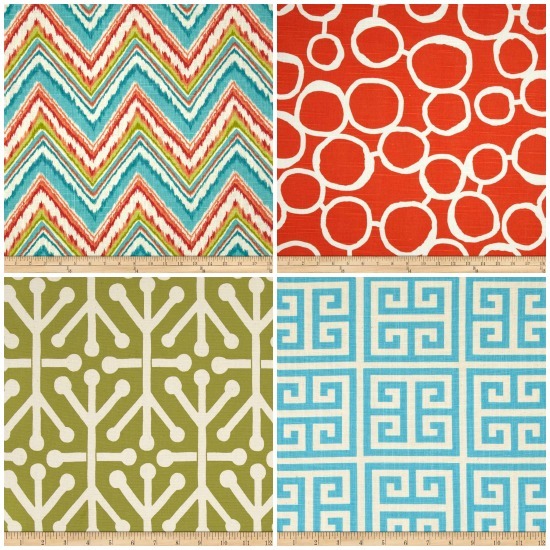 I'm working on a few throw pillows for the living room, and while browsing for fabric I came across several patterns that I haven't seen before, and I thought you might want to see them too! 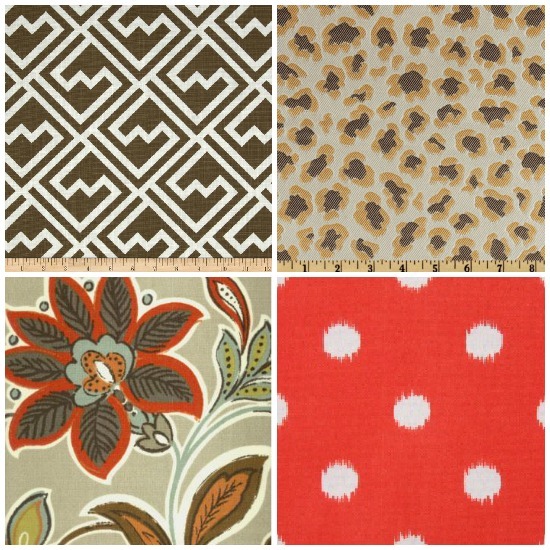 All of these patterns with the exception of 1 came from my 2 favorite sites for fabric, fabric.com and fabricguru.com. The links underneath will give you product information, and the top left sample is 1 and then go clockwise for the other links (I'm not affiliated with these links...just passing along info. for you!). 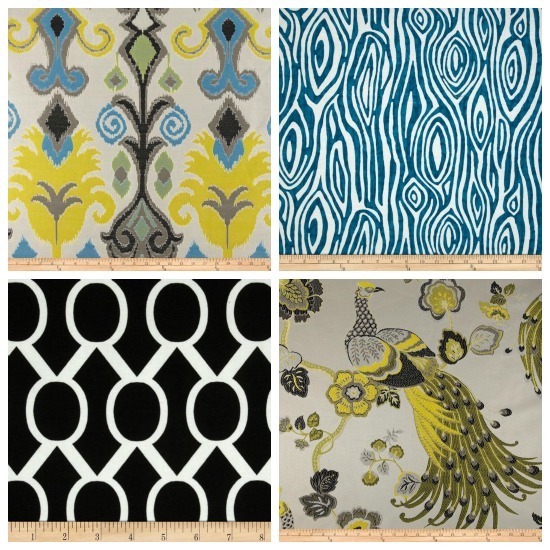 Many of the patterns are available in a variety of colors as well. See anything you like for spring? Lastly, a friend reminded me the other day that I sort-of left you all hanging from this post last week. Several of you were right...I never thought I'd say this, but I'm thinking about painting the walls in the living/dining/kitchen (they all run together) a warm white! We'll see, this one will be way down on the list if it happens! Very Very interesting pieces I am really intrigued about buying some to make throw pillows for my new home. Thank you very much for sharing the info. Great Blog by the way. I do! I do! I could easily become a fabricaholic. Great combinations, Jennifer! How does outdoor fabric hang as drapes? 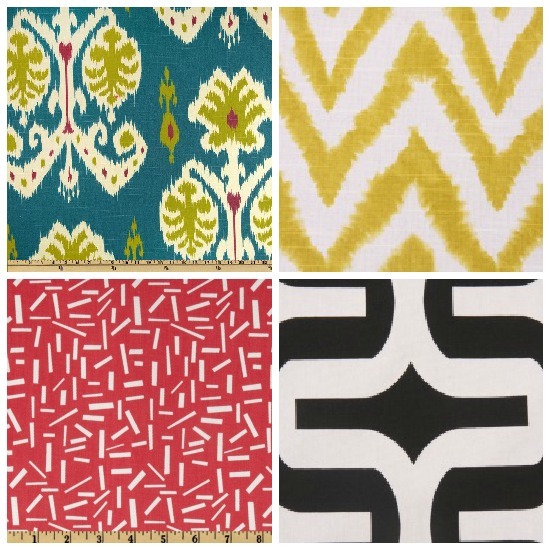 I like Richloom / John Wolf Keys Solarium Collection Outdoor Fabric. Do you have any links of it as drapes? Great colors & combos! I feel the need for change this spring/summer. Can't wait to see what your pillows look like. Jennifer they're all fabulous...my favorite group is the third one down! 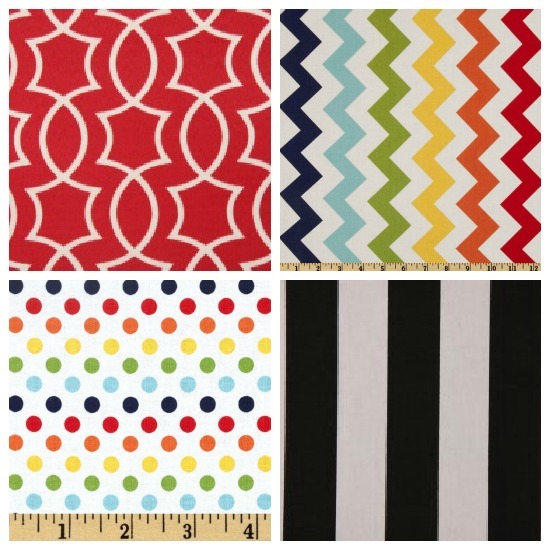 I think you have a good eye when it comes to fabrics, they are all so cheery, I just couldn't pick one, I like them all! White walls are so in right now, not to mention, they are so nice and bright too, you can't go wrong.